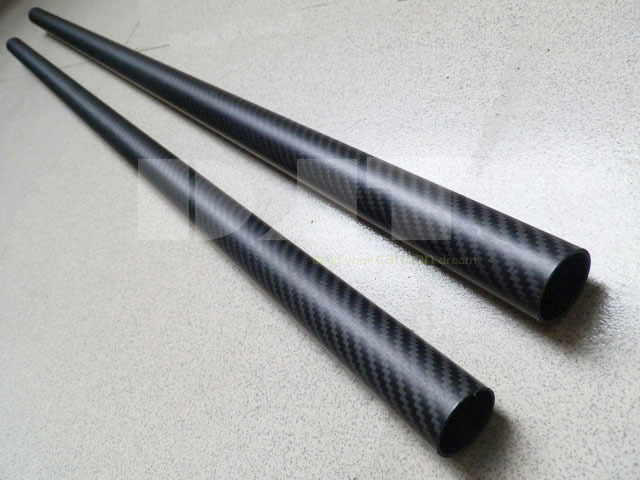 This carbon fiber tubing is in matte finish woven weave. We promise to provide high quality carbon fiber tubing and helpful advice on how to integrate our tubing into your project. Carbon fiber tubes are ideal for both the hobbyist and industry professional. Using the rigidity of the carbon fibers, an extremely stiff yet lightweight tubular structure can be used in a wide range of applications. DJT CARBON can make carbon fiber tubing in square, rectangle, and circular shape for you.